Irish Examiner, 30th May 2014. 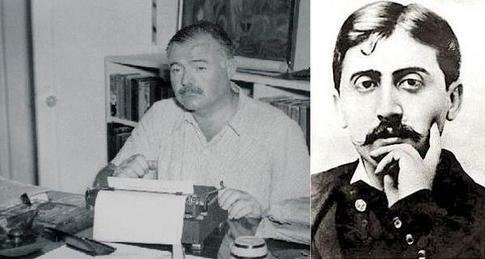 Ernest Hemingway and Marcel Proust: styles vary but they are ideal reference points. Richard Skinner tells Richard Fitzpatrick why the weird and wonderful ways of the real-life Erik Satie provided such great material for his new novella. Satie is in a waystation, a purgatory, and is tasked with choosing a memory from his life that can be taken with him into the afterlife. This is a useful ruse for Skinner, who is appearing at the West Cork Literary Festival in July, to cast back over an unusual life lived. Skinner picked a good one in Satie. Born in 1866, the French avant-gardist changed his first name from Eric to Erik, to play up his Viking ancestry. This was one of the milder adjustments he made in living out his artistic beliefs. “He was a dream to write,” says Skinner. “He’s unlike anyone I’ve ever come across, certainly unlike any other musician. He lived his life without any compromise. I admire the singleness of his vision, his mixture of wit. He embraced poverty. He was a great pioneer of new music. He didn’t want to repeat himself. “All of the biographical material in the novel is true — the walking to and from Arcueil to Montmartre, every day for 27 years; the fact that he didn’t let anyone into his house, apart from a stray dog; people finding two pianos, one on top of the other, after he died. By nature, he was an absurdist. He didn’t take anything terribly seriously. Everything was up for playfulness. When Dadaism and Surrealism came along, he fitted in quite naturally with their aesthetic. The pleasures of The Velvet Gentleman include the thumbnail sketches Skinner draws of Satie’s contemporaries, and the carry-on at the Chat Noir, a “small cabaret, full of fumistes — perpetrators of tall tales and hoaxes, who regularly held literary evenings and published a weekly paper”. Claude Debussy, who was Satie’s greatest friend, is described as “a slightly confused badger”. Marcel Duchamp enters the action having forsaken painting for chess, while Jean Cocteau is dismissed as an “imbecile”. Satie was ill-equipped for love. He fell in love with Marie-Clémentine Valadon, or Biqui, as he called her. She was married to a banker but, in Satie’s bohemian circles, that status did not interfere with an affaire du coeur. Valadon sat as a model for Pierre-Auguste Renoir and Edgar Degas and was once a trapeze artist, which came in useful during the incident that marked the end of their five-month love affair, in 1893. Satie’s artistic pursuit was in opposition to Richard Wagner and his Romantic cohorts. “We needed to have our own music — with no sauerkraut, if possible,” he said. He went to great lengths in this endeavour, including the composition of ‘Vexations’, a looped piano piece that took 28 hours to perform. His plan was to make it as “unmemorable” as possible, arranging the notes illogically, so that there was no melody for the pianist to grasp onto. Because it would take so long to perform, he was sure the pianist would have to turn himself into a machine to play it, “a machine that would experience the true depths and mysteries of boredom”. Satie died, aged 59, from liver failure, justifying his physical neglect by saying he preferred his art to himself. He ate little, except bread and soup thick with potatoes. When he inherited 7,000 francs, he was relieved when it was squandered after six months. He abhorred ostentation. If he had a hat, he punched a hole in it. He got his nickname, ‘the velvet gentleman,’ from the identical, mustard-yellow corduroy suits he wore on rotation, along with a battered pair of hobnailed, army-issue boots he picked up during a youthful fling with military service. “He was so extreme in the way he lived about everything — about his attitude to himself, his work, his friends, his lovers,” says Skinner. “He didn’t have a soft side. He was hard about all sorts of things. I can understand his commitment, his devotion to his work. Anyone who produces work that is creative in any way can kind of aspire to that and understand that, but the thing that I’ve always found difficult to imagine is his embracement of poverty. “When he inherited that money, he really did just give it all away. He had no sense of money. He never had any, and when he did have some, later in life, it just fell through his fingers. He wasn’t of this world. Skinner uses Satie’s asceticism to investigate his own philosophical ideas, including what his narrator’s voice describes as “the axes of life”, time and money: “The one is inversely proportional to the other. It is a kind of trap, for the acquisition of money should result in more time to oneself, but being rich requires time to manage one’s fortune. Richard Skinner, who heads up the Fiction Programme at the Faber Academy, will run a week-long writers’ workshop during the West Cork Literary Festival. He likes to use Marcel Proust and Ernest Hemingway as the two poles for reference. “Proust represents the most extreme kind of writing,” he says. “You sit down and open one of his books and a voice is talking to you about their life, the people they have met, and the thoughts, memories and feelings they have. There is very little action and dialogue. It’s all about being lulled into his interior world. “When you come to read Hemingway’s early short stories, written at the same time as Proust was writing, it’s immediate. There’s no narration, seemingly. You are with the characters as they are acting and speaking in the world. There is no narrator offering an opinion or judgement or interpretation of what they are saying or doing. It’s very direct. It’s almost like a screenplay. Skinner has a few key rules he suggest students take on board: 1) Write from your stomach, not from your head or heart; 2) If a character wants to become rich, rob them first; 3) Twist your plot like a screw, don’t hammer it like a nail; 4) Don’t use adverbs; 5) Keep going! He also recommends checking out the Paris Review Interviews, Vol. 2, which has interesting insights from several contemporary writers such as Stephen King and Alice Munro. Skinner also says the three-act structure set down by Aristotle over 2,000 years ago still forms the blueprint for many Hollywood movies we watch today. “The idea is that the first act, which is roughly about a quarter of the film, is the set-up. You get the set-up of the characters and then 20 minutes into film something happens, which kicks off the second act. Someone dies or gets divorced or whatever. The second act is called ‘the conflict’. That’s when the body of the story, the twists and turns of the story are laid out, and then again something happens about 20 minutes before the end of the film and that ends Act II and kicks off Act III, and that’s called ‘the denouement’. “For example, in my book Fiction Writing, I look at the film Seven by David Fincher.